Another fascinating aspect of how we learn from our dogs. The last week has been challenging, to say the least. The biggest winter storm in ages hit this part of Southern Oregon last Thursday, the 20th. That day we lost our power to the home around 6.30 pm. We only had it restored around 4pm last Sunday, the 23rd. That meant no access to our well, no cooker, no heating in the house and … well you get the picture. The wet snow, some 9 inches or so, brought down trees across the property including one that blocked our driveway. Just that there have been times when I have been irritable to the extreme. My normal patience with the dogs has been lacking from time to time. Moments when I have pushed a dog away from me, or shouted at another when the barking was getting to me. The dogs have been so forgiving, so tolerant of my irritability. I was able to reflect in my quieter moments about my behaviours. Able to see how well or otherwise I coped. The dogs offered a mirror to me. Allowing me a gently chastisement that getting angry with the world around me was my problem. It was me that was ‘choosing’ my actions and behaviours. The dogs also chose to respond to me. Here’s how Hazel responded. Finally, here’s how that grand old man Pharaoh responded. All of them offering me the message: chill out, Paul! Let’s risk it for animals! Looking at the human-animal relationship, from the perspective of the animal. This is a guest post from Virginia Ingram. Virginia is becoming more involved in the animal rescue movement. As such, she knows only too well how vital it is to give so many precious animals a second chance. In a very real sense we, as in mankind, owe our humanity to dogs and other animals. As I wrote here in the essay What is love? “But understanding animals and empathizing with them also triggered other changes in humanity’s evolution, Shipman said. So with that in mind, here is Virginia’s guest post. Recently I started to question the time I spend on the internet reading articles, essays and recommendations of books about all things concerned with animals. I receive animal stories from friends, acquaintances and business associates from all corners of the globe. I love to get them because, well….. hey, I really enjoy them! After I read them I forward them to others who I think will also enjoy them. They make me feel warm and fuzzy. They are enlightening, poignant, humorous, inspiring and sometimes heart-rending. I find I cannot ignore any cute email containing animal pictures even though I may have already seen it a dozen times before. Give me a story about a dog who ate a popsicle and to me ‘that’s entertainment’ as they say. We human beings love to feel moved by great stories and these communications are full of it. I am such a sap when it comes to animal stories; so many of us are. But here is the rub. What do the animals get out of it? We chuckle and get our jollies from these incredible beings from a distance on the World Wide Web but the fact of the matter is that so many of these wonderful creatures end up unwanted, uncared for or even starved and beaten in shelters across the world. What gives? Why is there such a disconnect? How can we love animals from a distance and not be concerned with the abuses that go on in our own environment? We know that there are those who don’t understand that animals have feelings and emotions, that they experience deep loss and sadness as well as happiness and joy. What can we do raise to the consciousness of human beings who don’t get it? I think it involves sticking our collective necks out. I think that we need to be ready to risk some things. It might involve changing or damaging a relationship with someone who is acting in irresponsible ways towards animals. We need to be ready to risk it. Do you see it on your own street? Maybe it’s a neighbor who leaves their dog on a chain in the yard on weekends regardless of weather or exposure to other animals. Maybe it’s the guy next door who ‘forgets’ to feed his animal. Let’s stand up for these animals who have no voice. Let’s be advocates for these amazing creatures who cannot be their own advocate. Let’s hold humans accountable. Let’s risk a friendship and say something, make that difficult phone call on behalf of a animal. Let’s talk to people about animal issues and problems. Let’s try to change the weak laws that do not properly address animal cruelty. Let’s summon our courage and do the unpopular things which will enhance the quality of life for these precious beings. Can you imagine how animals feel when they have been turned over to an animal shelter by the person whom they loved more than themselves? Trust me, the sense of abandonment and fear, the bewilderment in their eye is excruciating to observe. I have seen it not from the distance of my computer but in person. Let’s DO something to change all this. It’s time to get involved. By all means keep the cute emails going but for every minute we spend on the internet, reading the books and enjoying the emails let’s put the same amount of time into getting something done to improve the lives of animals. Stand up, walk out the door, volunteer or donate money. We can help the suffering. We can make a difference. Powerful words indeed. Don’t know about you but I read a strength of feeling that was very moving. A clear message that we must never turn the head, never just ‘tut tut’ but do something. Even if only befriending a stray animal. Because one might argue that even that feral dog without a home is demonstrating something all of us on this green planet need to understand; living a sustainable life! Finally, living proof of what we can give an animal when we care and love it. 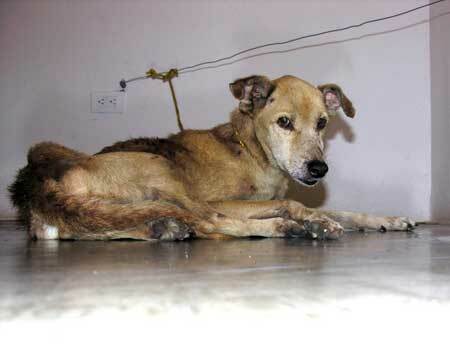 The dog in the picture below is Loopy, a dog that Jean rescued in Mexico many years ago. She was so badly hurt by humans that it took Jean six months before Loopy would let Jean touch and hug her. When I came on the scene, my gender was against me. It took me twelve months before Loopy trusted me. Now she will come to me and let me place my face against hers in the most loving, caring embrace that one can imagine. So why the fearful look on Loopy’s face as she turns away from the camera? Somehow the camera is reminding Loopy of some sort of weapon that was used to beat her! Join the One In A Million Movement to End Puppy Mills! Take another quick look at the emotions that dogs bring out in so many of us. I’m referring to the piece I posted last Sunday under the title of The logic of dogs. However, there’s a darker side to owning a dog, or more accurately, a puppy. A quick search for ‘puppy mills’ on Google or YouTube will come up with more anguish than I suspect you can handle. Here’s just one website that offers some facts about the commercial breeding of puppies. Here’s a 2-minute video to underline the importance of this cause. But thanks to an email sent to me from Diane M, here in Payson, there’s something that can be done. Here’s the email that was sent. I’m sending this to you because of your concern for pets. Dan Morrison, my friend and ex-husband, has been an advocate for years for animals. I received the information below regarding another way to protect those animals who cannot speak for themselves. Please take a minute and read the important message below. Please know that Dan Morrison along with Marlene Walsh are the co-founders of Pet Connections. Dan is also the President of the Board. Check out the website! In addition, do you have friends who love animals and are understanding and empathize with the message below? If so, please take a couple minutes and forward this message to them. Dan, Marlene and I will greatly appreciate your effort. Subject: Join the One In A Million Movement to End Puppy Mills! There is a new movement underway to permanently put an end to the puppy mill industry by ending all demand for these puppies. And Pet Connections, Inc. believes in the power of people to do this, one person at a time. Just this week, the Pet Connections’ website (www.pet-connections.org) went live with its new “One In A Million” campaign, where the public is being asked to sign a pledge stating that they will not purchase or support the purchase of puppies, dogs, cats or kittens that come from “puppy mills” or indiscriminate breeders. A puppy mill or kitten mill, sometimes known as a farm, is a commercial breeding facility that is operated with an emphasis upon profits above animal welfare and often hundreds of animals are kept in substandard conditions with little regard to the well-being of animals under their control. Instead, the pledge asks the public to patronize animal shelters, humane societies, or “humane” pet stores who offer only shelter/rescue puppies, dogs, cats or kittens. Pet Connections’ goal is to collect one million names to present to the governors and legislators of states who harbor puppy or kitten mills because of lax or unenforced laws and to our congressmen and senators telling them that the people have spoken! This cruel and inhumane industry must end. Pet Connections will work with any pet store who believes that their only source of animals are mills or farms and “convert” them to using animal shelters, humane societies or rescue groups as a source for their animals. I am hoping that you will go to our pledge page (www.pet-connections.org/pledge/pledge.php) and sign the pledge, and then share it with your family, friends, colleagues, other organizations, newsletters – everything you can think of to help us get the word out and make a big enough impact to make a difference. Pet Connections believes people can make a difference . . . one person at a time. I know that with your help we will make a difference. Change will happen because you took the Pledge. Thank you for becoming ONE IN A MILLION and supporting the efforts of Pet Connections, Inc. We are dedicated to ending the practice of selling puppies bred in puppy mills and sold in pet shops. This is an intolerable practice and must end. By Pledging, you join a cause whereby numbers create the power for change. Would you like to help Pet Connections, Inc., reach our goal of ONE IN A MILLION? Share the message by any means you can. Tell your friends, family and neighbors about the importance of Pledging. Convince your Facebook and Twitter friends to Pledge to become ONE IN A MILLION athttp://www.pet-connections.org/pledge/pledge.php. Watch the tote board change with each Pledge you influence. Pet Connections, Inc., is grateful for contributions to help in our goal of ONE IN A MILLION. It is up to each and every one of us to take responsibility to end the practice of breeding and selling puppy mill puppies. It is the humane thing to do. Now let me close with this video that shows the power that can flow from love as opposed to greed. NEVER BUY A PUPPY FROM A PET STORE!!! All three parts combined into one! Created in 2002, “I’m Alive For The Very First Time” tells the story of how two puppy mill rescue dogs forever changed the lives of their adoptive parents, Kathleen and Scottie. Big thanks to Ginger from our local Humane Centre, the Humane Society of Central Arizona, who sent me this YouTube link. You all have a restful week-end, whatever you are doing! Big thank you to all those that have acted. I have received quite a few emails in response to a mailing sent out by me yesterday promoting the fabulous work being done by a dog rescue centre near Payson, here in Arizona. Thank you for letting me know you are adding your support to this great effort by Tara’s Babies to win $250,000 from Pepsi! An email received a short while ago from Tara’s Babies shows that everyone involved is making a difference! #9 in AZ and 266 overall! Thank you for VOTING : we CAN win!! c. Have a Facebook page? 4. Click on “Vote for this Idea” again! 6. Prove you are a human being and not a Bot by identifying an animal! NB: You only have to do Step 4 – Search – the first time you vote. The site remembers Tara’s Babies for you! A rare request from Learning from Dogs asking if you will vote on behalf of a dog rescue centre. Many who follow this Blog will know that my beautiful wife, Jean, is totally devoted to dogs, especially rescue dogs. Over the years that she and her previous husband Ben, who died in 2005, lived in Mexico, Jean must have rescued at least 70 dogs. 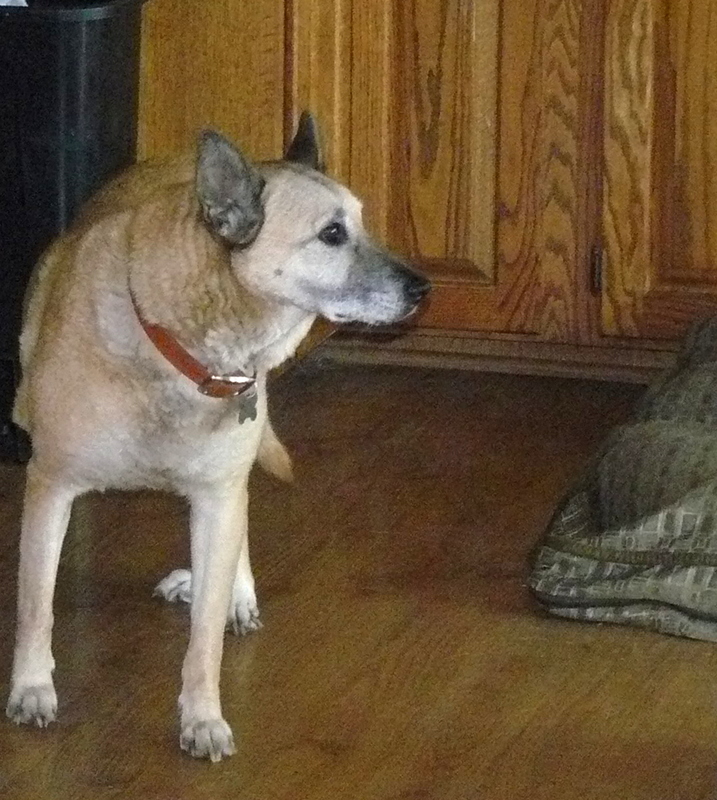 Even today, we have 11 ex-rescue dogs enjoying a fabulous life in our mountain home here in Payson, Arizona. A few dogs from the dark days of Katrina still remain and many more have been added since. 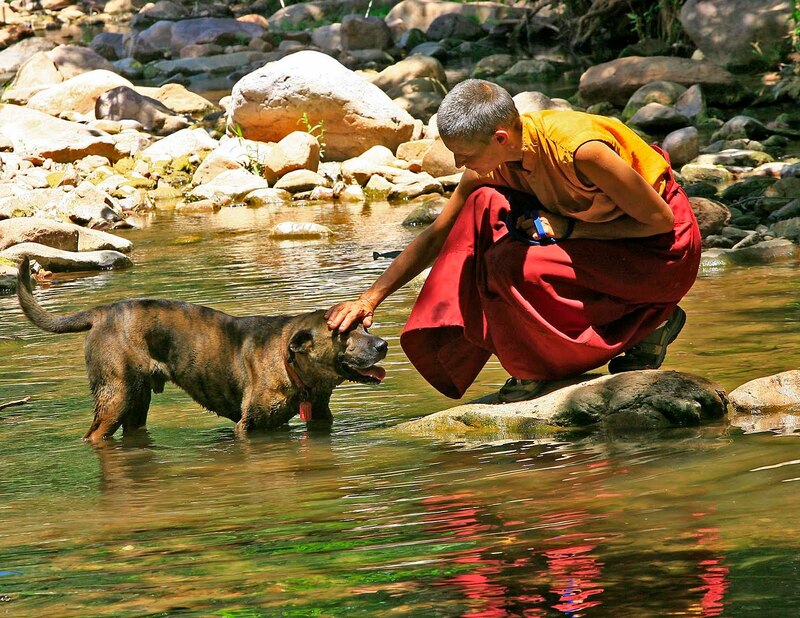 This is no normal animal rescue however: It is operated by three very dedicated and compassionate ordained Buddhists. Kunzang Drolma, a Buddhist Nun and the director of Tara’s Babies, graciously invited the Connection to spend the afternoon at the facility. When we arrived, she was (as we had anticipated) wearing her Shamtab—the traditional Buddhist robe—as she fed her canine adoptees. What’s needed, explained Drolma, is a paradigm shift. One that is so profound that shelters will become a thing of the past. While euthanasia is something that Tara’s Babies does not agree with, the solution lies at a higher cultural level. Frankly, my view is that we need solutions to so many of life’s problems to come from a ‘higher cultural level’ but this Post is about helping Tara’s Babies raise more funds to help their mission. It’s easy for any of you to help. You can do it now from your computer. Go here – http://www.tarasbabies.org/pepsi_refresh.html and read. If you need convincing of the purpose watch this video (the one at that last web page or direct from YouTube as below). “Have you heard about Tara’s Babies Animal Welfare, a No-Kill Dog Rescue and Sanctuary in Arizona? They started rescuing dogs left homeless and injured by Hurricane Katrina, after their founder, Jetsunma Ahkon Lhamo, felt compelled to act on seeing the devastation and suffering in the Gulf. They have continued rescuing dogs on death row in overcrowded shelters ever since. Tara’s Babies Animal Welfare is working to win a $250,000 Pepsi Refresh grant by receiving the most votes for their project in the month of January. The grant will allow them to improve the care they provide to dogs at their beautiful, off-the-grid Sanctuary. I am going to help Tara’s Babies Animal Welfare by voting for them daily in the Pepsi Refresh grant program and hope that you will too. Please visit www.tarasbabies.org to check them out. You will be able to sign up from their website to support their application to Pepsi Refresh. Here, here! It’s very quick to initiate and then each day all you need to do is to add your daily vote – a few seconds of your life exchanged for the rest of the life of a dog that, otherwise, would have nowhere to go!